To create a one story 10,000 SF school that maximizes daylight without sacrificing energy efficiency. According to the U.S. Department of Energy, the nation’s schools spend more than $6 billion each year for energy. If they all achieved energy savings of 30% through a combination of operational improvements, efficient and renewable energy technologies, and better building design – including innovative daylighting strategies – the savings could be as much as $2 billion. Barba & Wheelock decided to increase daylight by connecting a series of classrooms with a corridor of light. 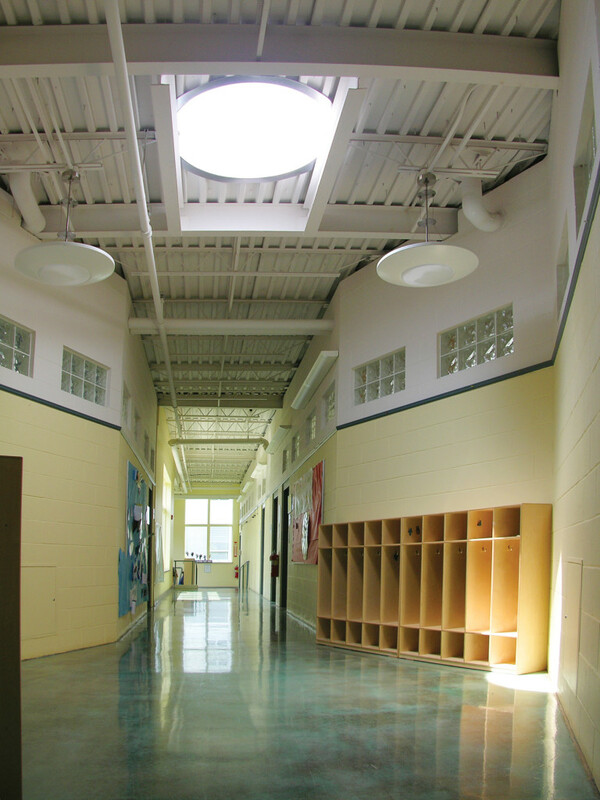 They chose a Wasco Circular Dome skylight to create a diffused natural lightwell in the school’s main hallway – a space that also serves as a gathering and conversation area. 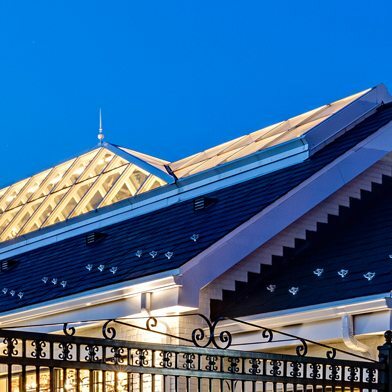 Baxter achieved a 30% energy savings in addition to providing great daylight. Ms. Barba, a licensed architect with the State of Maine, has been a managing design principal since 1986. She has led projects of all types and sizes for schools and colleges, municipalities, historical societies, churches, museums and private residences. Many of these projects involve her expertise in historic preservation as well as her commitment to social purpose. Ms. Barba is an Advisory Trustee and former President of Maine Preservation and the Maine Olmsted Alliance for Parks and Landscapes. In 2006 she was named Maine Preservation’s “Preservation Champion,” a statewide honor previously held by Senator Olympia Snow and former Governor Angus King.